Blackpool is quite an urban town. 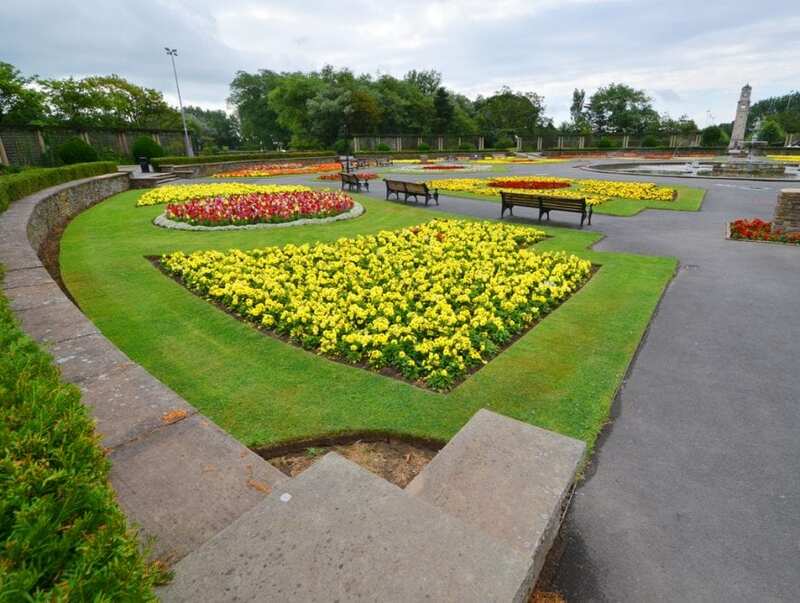 In contrast to the miles of sandy golden beach, the parks in Blackpool and green spaces are welcome areas of green. Perhaps most well known is Stanley Park, only about two miles from the seafront. it’s a large park with space for everyone to get lost in. There’s a huge 256 acres of green grass and trees, nestled among the streets of Blackpool. At Stanley Park you’ll find lots of good public facilities which you can enjoy all year round. The Friends of Stanley Park organise free entertainment on the bandstand in summer and other events through the year. At one side of Stanley Park is the Model Village, with another 2.5 acres of carefully maintained gardens. At the other side, next to Blackpool Victoria, is Salisbury Woodland. It was planted in the 1930s as a shelter belt for Stanley Park Golf course. The woodland is a natural habitat to many plants and species of wildlife – it’s well worth exploring. At the entrance to Blackpool at the end of Yeadon Way is George Bancroft Park. It’s the one where the two climbing towers are near to Bloomfield Road. It was opened in 2006 by Laurence Llewelyn-Bowen and is the newest park in town. It’s the first one to be built in over 80 years! Almost at Cleveleys, Anchorsholme Park isn’t a new parkland, but it’s newly redeveloped. 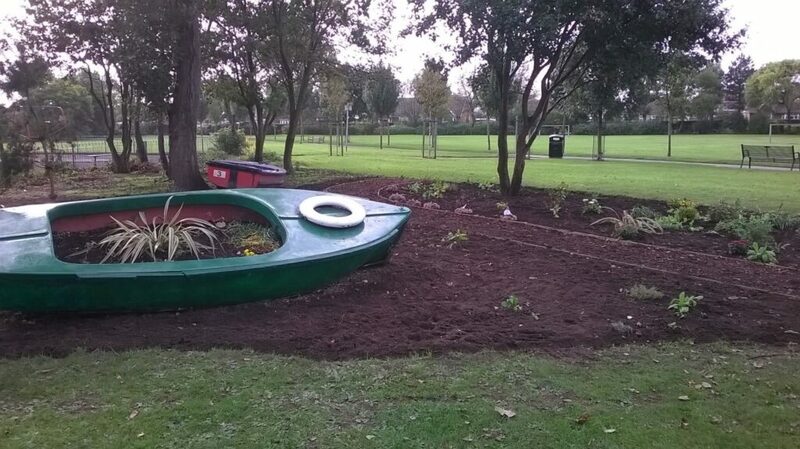 United Utilities relandscaped it as part of their works in the park to improve bathing waters. Moving away from the own centre, there are smaller parks dotted all over the town. East Pines Park (below) has its own Friends Group like many others. By working hard together, they’ve achieved many improvements in recent times. 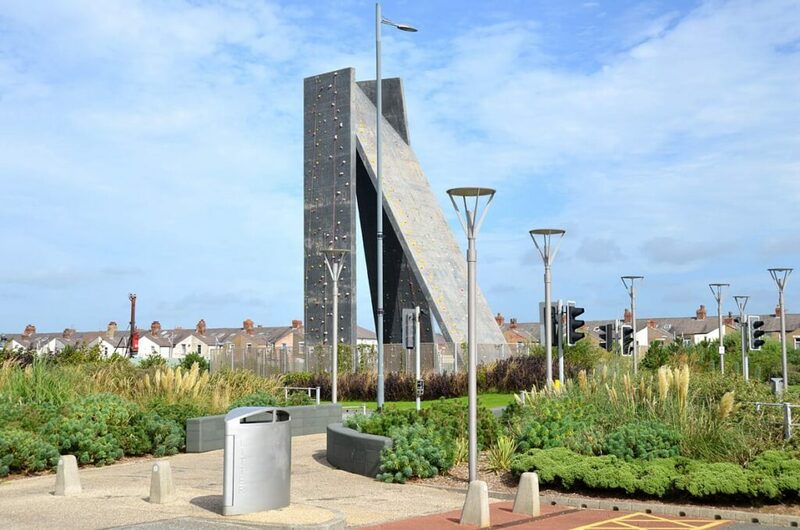 Jubilee Gardens Blackpool is the park to the North of Gynn roundabout with the Blue Light Memorial. That’s been transformed in recent years by a group of local residents and volunteers. Solaris Park is part of a nice stop off when you’re walking along South Promenade. That Friends Group is developing the gardens and bringing new life to the area around the Solaris Centre. Here’s a list of parks and open spaces in Blackpool. Find out more from the Blackpool Council website. Is the climbing tower at George Bancroft Park in operation next week for half term visitors?